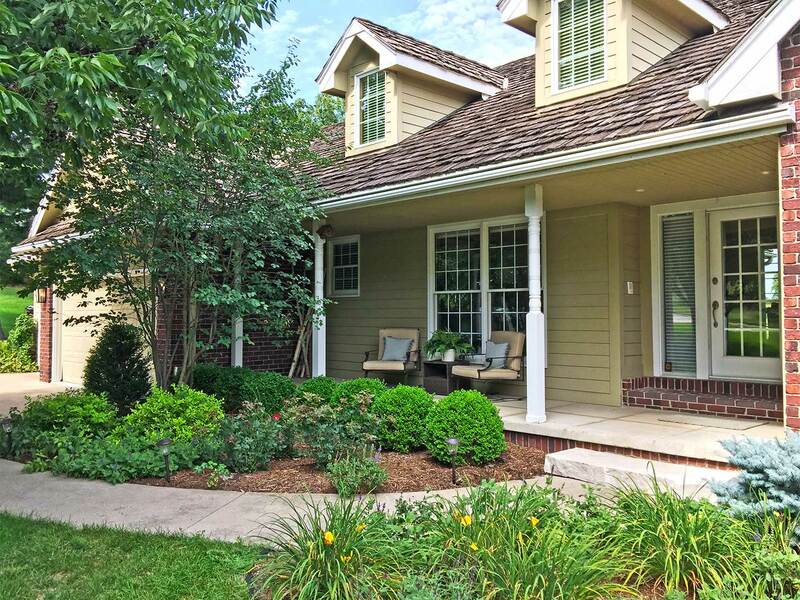 We first installed LeafGuard® gutters on the back of Carol’s home in 2010. Since then, Carol and her husband have retired and decided to protect the rest of their Waukee, IA home. 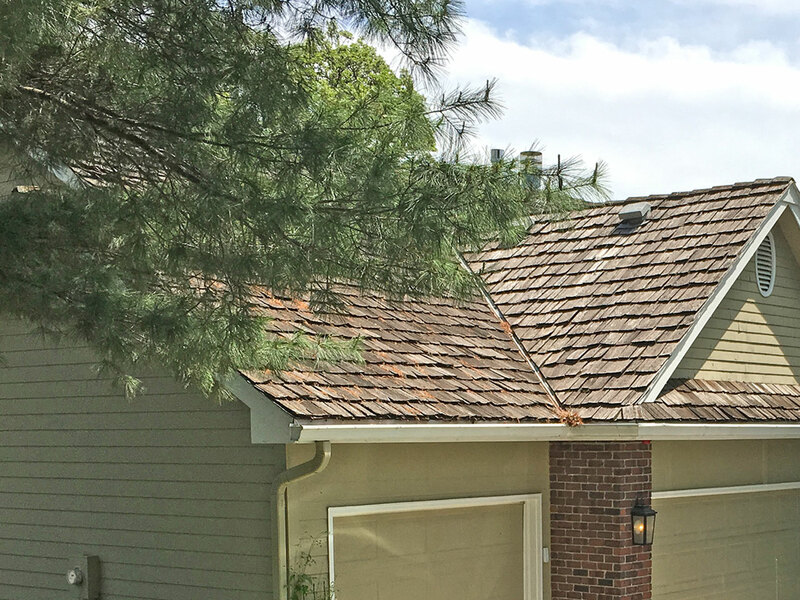 Carol loved her LeafGuard® Brand Gutters because they did not interfere with the integrity of her cedar shake roof and eliminated clogs caused by falling pine tree needles. LeafGuard® works by attaching non-corrosive hangers to support the hood through the back of the gutter to your fascia board with screws. The hangers are spaced at two-foot intervals, which is more than twice the industry standard, ensuring strength and durability. 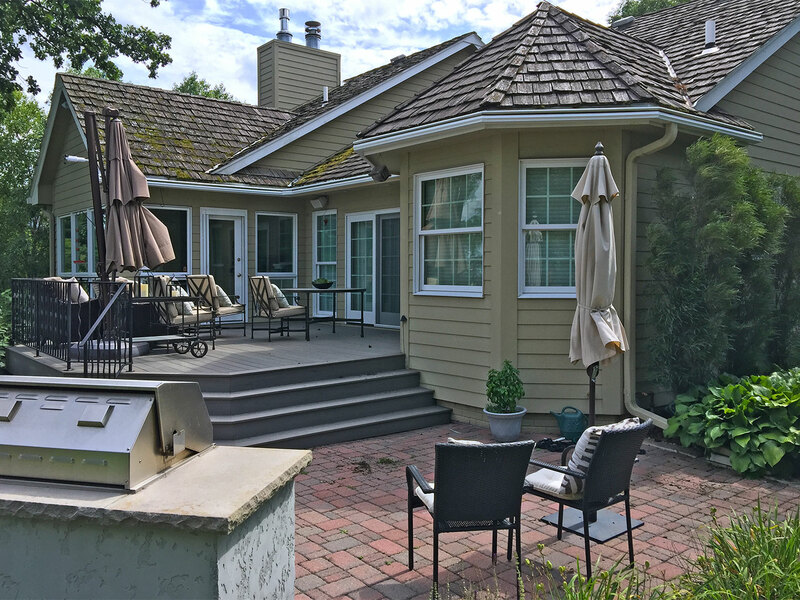 Carol’s open style gutters made a perfect home for falling pine needles and other leaves and debris. LeafGuard® gutter’s patented one-piece design gives this Waukee, IA roofline a finished look that adds to the curb appeal of Carol’s home. LeafGuard® Brand Gutters look beautiful on any style of home. LeafGuard® gutters sleek one-piece design does not interfere with Carol’s Waukee, IA roofline or look like a bulky add-on to her roof. The crew was very professional and wonderful to have at my house "we have had other companies before and LeafGuard® was heads above." - John L.
The gutters on my garage now match the gutters on my house, they look great. - Patricia Y.